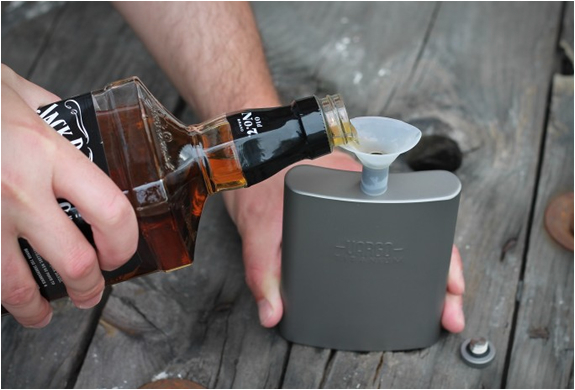 No more spilling your booze! 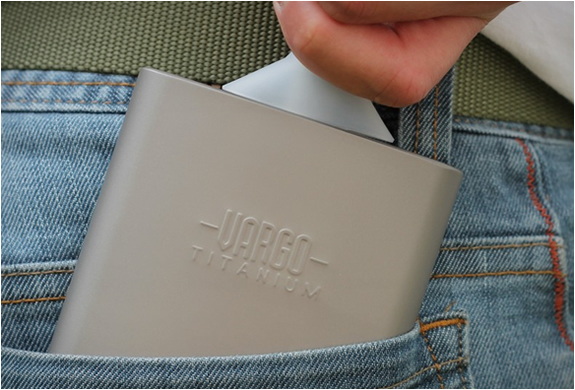 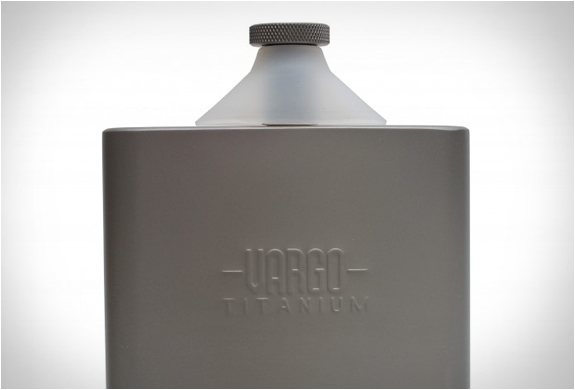 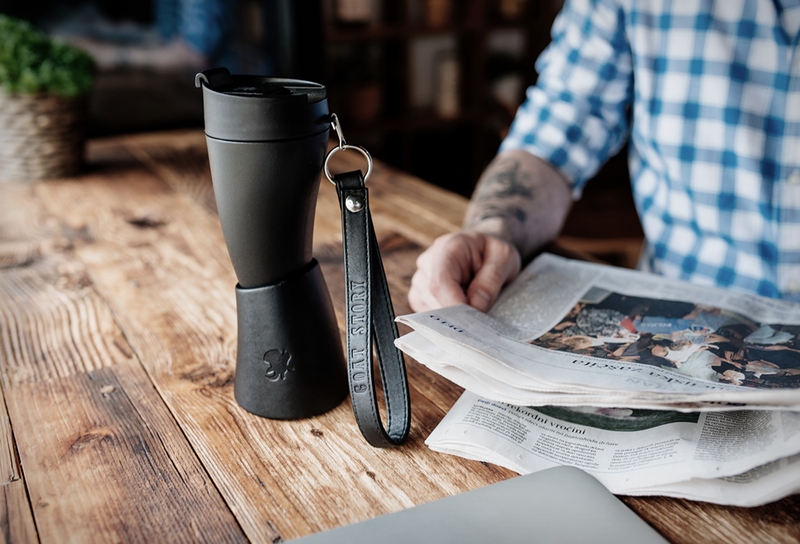 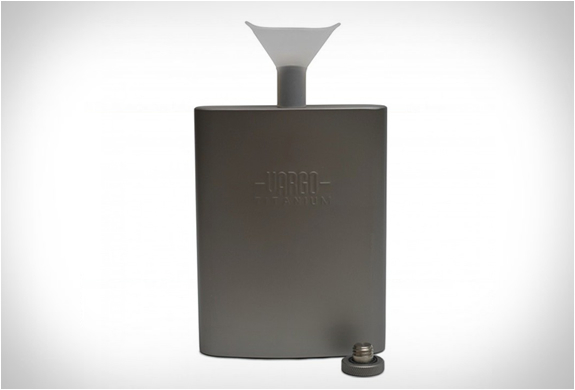 This sleek and rugged Titanium Funnel Flask by Vargo features an integrated silicone funnel that´s always there when you need it, simply fold it up when you need filling, then fold it down to sip comfortably. 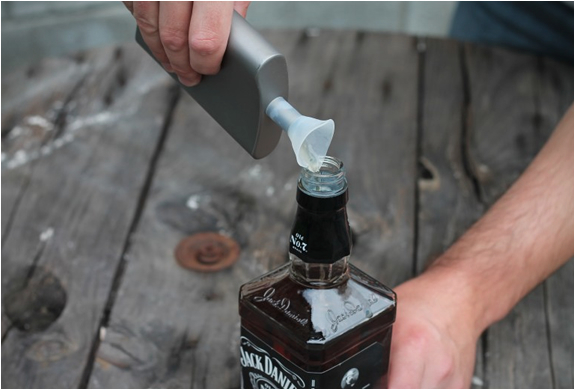 The funnel also functions as a perfect spout to pour your alcohol back into its original container.